JustValerieRN.com is a brand-new subscription service for medical students. For a fee, students can join study groups, access study tools and flash cards, and share guides they’ve created. 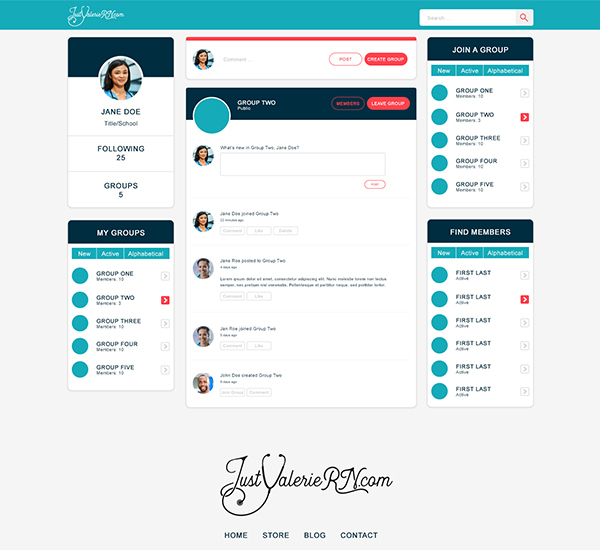 JustValerieRN came to Super Studio asking for a website design that would support all the functionality needed to make the subscription service a success. Working from only a logo, Super Studio had to start from scratch and create brand standards as we went. The final product focuses on a seamless user experience – a stellar design with room to grow.